The Top 5 Best Construction Boots: Which Pair is Right for you? 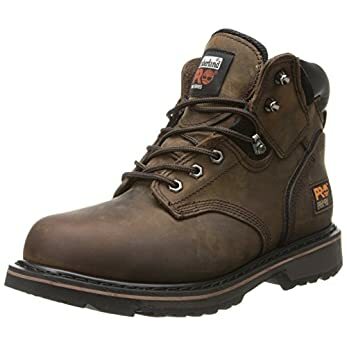 If you are looking for a new pair of construction boots, then you have come to the right place. 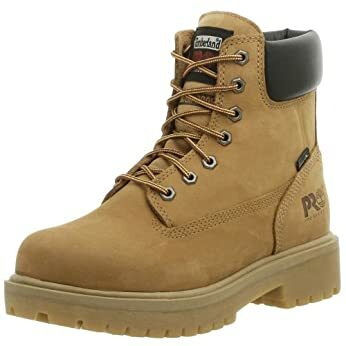 I have compiled a list of the top 5 best construction boots on the market. 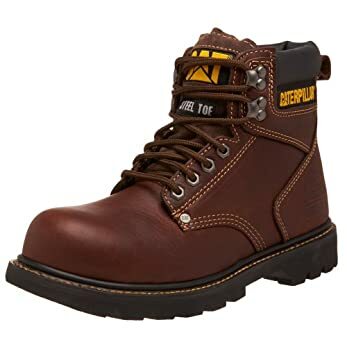 I will go into detail and explain what you should be looking for in a construction boot, how to choose your construction boot and much more. Get ready to own the best construction boots on the market. 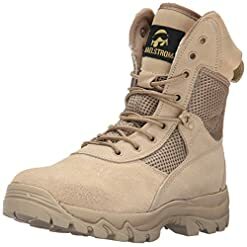 How to choose the best construction boots? This can be a difficult decision for some. I personally see construction boots as an investment. You should be able to wear them for years to come. Choose the wrong boot and there goes a good portion of your pay to find another pair. This is why I always say to look for a brand that you recognize. My personal favorites are Timberland, Nike, Harley Davidson, Maelstrom, and Thorogood. These are the top 5 brands I will be focusing on. Another thing to pay attention to when choosing the best construction boots is their sole and their inside support. Read people's reviews on shopping's site. If people are reviewing based on personal experience and it seems honest, then listen to them. If they are stating that they were given the product for free and to give an honest review, I would not completely trust it. Know your shoes size too. They often run true to size, but if the site says they run small or run large, you should know which size is best for you. Who has time for returns? I know I do not. What are the benefits of the best construction boots? Good arch support, strong soles and a good shaft. These are the three things to look at when purchasing boots because they give you one big benefit: a happy pair of feet. When you are on your feet all day (think 10+ hours) the last thing you want is for your feet to be throbbing. With a good pair of construction boots, they will have a great shaft, superior arch support, and long lasting soles to keep you going strong all day. Whether you are standing and welding all day or running from site to site, you want to make sure that your feet are well taken care of. If not then it could lead to back pain and that is the worst kind of pain out there. The benefits of a good pair of construction boots are happy feet and a happy back. This is what you should be spending your hard earned money on. One good pair will last for years to come. A good sole. Look for a rubber sole. This protects you from slippery surfaces, hazardous zones especially when welding and the rubber will absorb shock too. If the sole is not made of rubber, then it is not a good sole. Good arch support. Whether you have flat feet or a high arch, you need a good arch. Long days on your feet without any arch support lead to achy feet and achy back. Look inside of your boot, and if you do not see a good arch, but everything else is great, then purchase a pair of gel insoles or memory form insoles. They will provide the support your feet need, and you will feel as though you are walking on a cloud whilst doing so. Strong shaft. The shaft is designed to support your ankle and above. If it is sturdy and strong, you do not need to worry about your ankles and calf muscles bothering you. If the shaft is wimpy, best to not even try them on. Your ankles and calf will not be supported, and you will feel it after day one.The shaft does not need to be high, just where your ankle is for the added support. I recommend a 3 to maybe 6 inch shaft. Enough to provide support, but not look like a Woman’s riding boot. What is the best way to use your construction boots? The best way to use your construction boot is to wear it on site. If you are afraid of breaking them in, then just walk around inside the house with them on. This will prevent blisters and other painful foot ﻿problems that you may get on the work site. You can also wear your construction boots while riding your motorcycle, mowing the lawn or doing other yard work. They are made to protect your feet so put the boots to the test. Maybe even go for a wee hike in them. With a thick sole your feet and ankles should feel great! If you love Harley’s, then this is your boot. This boot is made of leather with a thick 1.5-inch rubber sole. The shaft is 6 inches high, which will provide great support for your ankles and calf muscles. The outer sole is made of the same material as a Goodyear tire thus making it oil resistant. The boot comes with tie laces, but for convenience, the boot has a side zip for easy on and easy off. Since these are a Harley-Davidson boot, you want to show it off. 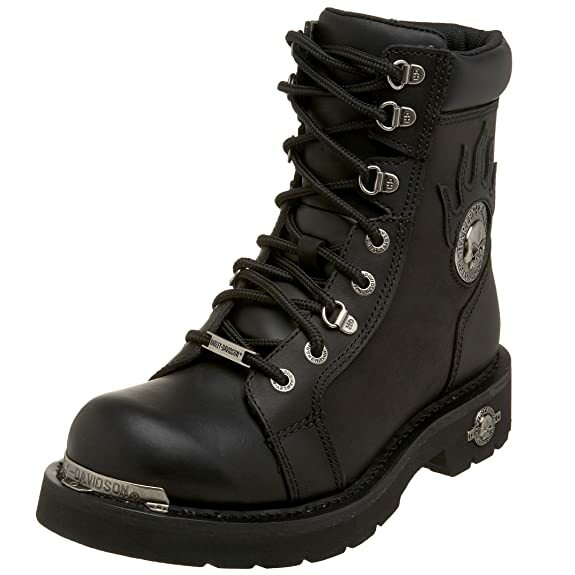 The boots have a silver logo on them along with some metal hardware to let the world know you are a Harley man. People also are saying in the reviews how comfortable they are. You cannot go wrong with these boots. Personally, I do not like the look of these boots. I find them to look more like orthopaedic shoes than work boots. I need to keep in mind though that they are made by Nike, so they have the support and comfort that come with a Nike trainer. The boot is made from a synthetic mesh which I’m not excited about, but at least it has a rubber sole. The boot is also water resistant due to its rubber overlay that was designed to block out all elements. The boot also has a watershed that will keep your feet dry, so if you work around or with water, this boot is a great buy for you. It has a photon midsole which means it has lightweight cushioning. If it is not strong enough, you can always purchase an additional pair of best insoles for work boots. The outsole is designed with a waffle pattern which makes it quite durable on numerous surfaces. No slipping here! 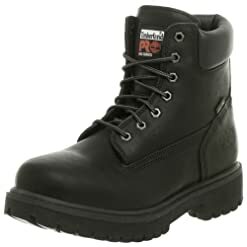 If you are still curious about these construction boots, then read some of the reviews. People have said that they have purchased this shoe for years and are on their third pair. Looks aside, that says something about this boot. It is designed for long wear, and it has a following. Order your pair today! Probably one of the most famous brands of construction boots on the market for the past few decades. There is a reason for that. The name sells, and people keep returning for more. Is this the boot for you? They fit as expected, are made of leather and have a rubber sole. They have a six-inch shaft which is highly recommended for ankle and calf muscle support. The best part about a pair of Timberland boots? The padded collar and hexagonal eyelets. That is the symbol of a real authentic pair of Timberland boots. That and the logo on the boot. They are sold by marketing them as an on-site survival pair of boots. They are made with the finest waterproof leather and Thermolite which makes them ideal for harsh winter weather conditions. My favorite part about this Timberland PRO boot is that it looks like a classic Timberland. You can purchase them in the tan leather and show them to everyone that you have made it into the workforce with these boots. Timberland boots are like Harley Davidson boots. They show that you know your brand and that you have made it. Go ahead, splurge on these boots. These boots have a definite military look to them. They have an 8-inch shaft which is a bit high for my taste. Then again it will provide extra support for your ankles and calf muscles which will need it after long days on the site. The boot is made of both leather and fabric with a rubber sole which is quite beneficial. The boot is quite breathable, and the lining is able to get rid of moisture that may linger in the boot. Now you do not have to worry about smelly feet. The boot comes with a removable insole that is both shock absorbent and provides long lasting comfort to your feet all day long. Why would you want to remove it? Plus if that is not enough for you, you also have a padded collar and tongue. Just like with the Harley Davidson boots, you can zip these guys on and off rather than playing around with laces. Also, the boots come with a one year warranty. If that does not sell the boot, then I do not know what will. Instead of the usual steel toe work boot, the Thorogood comes with a rubber toe. That is probably one of the best safety features on all of these boots. The look of these boots is different. The black, brown and golden hues make it stand out more. The boot is made of both leather and synthetic materials and has a rubber sole. The shaft is 7 inches which are a good length. They also slip resistant which that alone will sell the boot. The only downside to these boots is that they are not waterproof. You can always purchase a spray for the shoe that will make them water resistant and to protect the leather. If you are a big guy, then according to reviewers these are yurt boots. They will provide the support you need, and your feet will still feel great at the end of the day. It is difficult to pick one pair of the best construction boots, but if I did, I would have to choose the Harley-Davidson boots. Harley is a name I recognize so I know they are made well and are appropriate for doing other things than construction work. How great would it be riding to the site on your Harley wearing these boots? That has to be the life. Every day could be a long day for most of us whether we are from work or from school. The fact that we usually work on our feet, makes us prone to plantar fasciitis. We come up with a review of three of what we consider, the best steel toe boots for plantar fasciitis. The market is crowded with various types and brands of b﻿﻿﻿est﻿ ste﻿﻿﻿el toe bo﻿﻿ot﻿﻿s that promise comfort and safety to their consumers. This is because more than a million people are suffering from a heel spur and Plantar Fasciitis. These foot conditions are very painful and can result in a more serious injury and discomfort. Standing on your feet all day while working can worsen the condition, however wearing the steel toe boots for plantar fasciitis can lower your risk of acquiring it. Plantar Fasciitis is one of the many painful conditions that you can acquire when wearing the wrong type of footwear. Likewise, long hours of﻿﻿ standing and walking can develop to this as the ligaments in your foot continue to strain. Likewise, existing health conditions can contribute to the symptoms such as being overweight. The extra weight, apparently adds pressure to the ligaments. Runners and athletes are also advised to fully stretch before starting their routines. It is essential that we wear the right footwear that can accommodate us and our daily tasks. If you are already suffering from plantar fasciitis, you should look for the boots that can help you alleviate the symptoms. Fortunately, the right boots can prevent plantar fasciitis and reduce your risks of developing other foot-related injuries. You work hard every day so you deserve nothing but the best boot﻿s that will give you ease and comfort. Not all boots are the same, so it is important that you check these features before you consider a boot as the steel toe boots for plantar fasciitis. These features enable the footwear to be shock-absorbing. It will prevent you from suffering from injuries from sharp and pointed objects. Usually, boots are now made with cushioned insole. These boots have an added cushion or padding that provides arch support and offers comfort for the heels and sole. Thus, it prevents the wearer from having plantar fasciitis and reduces shock, especially when walking on hard surfaces. Basically, this condition affects the arch in the foot so it is important that your boots are able to provide additional support to the damaged ligament. The insoles serve as an orthotic device that allows your foot to relax and relieve you from strain and stress. The insole could be made from rubber, plastic or felt materials. It also helps in absorbing pressure and stress on the heels. There are also advanced insoles on the market that help in realigning the foot to its normal position and offers arch support. Any footwear should be comfortable to your feet. Aside from the unique designs and quality materials, look for the working boots that will provide you comfort especially if you are working on your feet for longer periods. Well-designed foot bed and lace-up your shoes’ foot bed is also important and contributes to the health of your foot. The foot bed should be properly cushioned to effectively reduce the strain of the ligament. Some boots have this lace-up feature which, aims to provide support and allow the foot to steady. Medium heels-high-heeled shoes can also cause straining to the ligaments and add pressure to the plantar fascia. Choose the boots with medium to lower heels but not flat to correct the problem. More often, the symptoms of Plantar Fasciitis can be immediately felt and will gradually fade as you move more. Never ignore the signs of this condition. When you consistently feel pain in your foot, it only indicates that something is not right. The right work boots are crucial especially for hard-working people like you. If you are suffering from any medical conditions that affect your feet, it is a must to take ﻿extra care of ﻿your feet. Likewise, wearing the proper working boots will help you prevent to develop this condition. Although natural remedies and therapies are also highly recommended for Plantar Fasciitis sufferers, using the proper work boots can make an improvement in your current condition. Boot makers like Chippewa, Keen and Caterpillar are getting more popular these days because of their products and the technology they are using. These manufacturers developed products that aim to help plantar fasciitis sufferers and improve their conditions. We review three brands of what we consider, the best steel toe boots for plantar fasciitis. We listed their special features and how their designs and materials can suit the needs of those who are suffering from plantar fasciitis or help prevent it. With its ergonomic design and comfort system, Cat Footwear is one of the most trusted brands in the industry. Let go of the boots with flat designs and boring shape as Cat’s steel-toe boot is stylish and very comfortable to use. This steel-boot promotes flexibility and reliability with its SuperWelt construction. It is said to stand in different weather conditions as it is 100% waterproof. 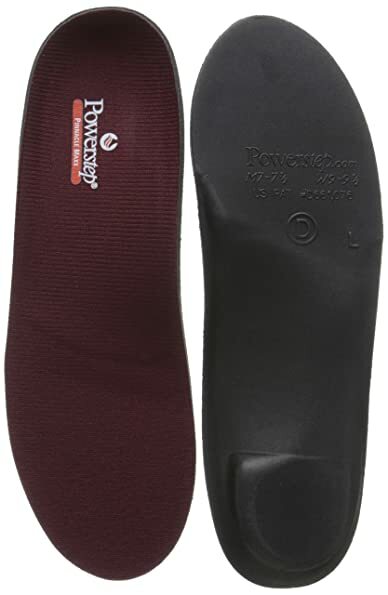 Its Poliyou sock liner gives its shock-absorbing effect while its rubber outsole allows you to have that steady grip. ​What is more interesting is that it incorporates the Flexion Generator and Flexion Manifold system that enables that foot to move naturally so it will feel less fatigue after a day’s hard work. Has generous padding for support and stability. Provides stability, flexibility, comfort and style. It is your to-go-to boots as it offers features such as electrical hazard support and slip resistance. No break-in period, easy to clean and made from tough leather. This work boot is highly recommended for people who work in the field, construction areas or repair equipment. Waterproof and reliable to use in different working conditions. While some customers swear by this steel-toe boots sturdiness and flexibility, others commented that the boots easily wore out after months of used. Some also say that it is waterproof at first but looses such feature in the long run. This steel-toe boot from Chippewa made it to our shortlist because of its many features. The boots are specifically designed to allow you to move and work with stability, safety and comfort. 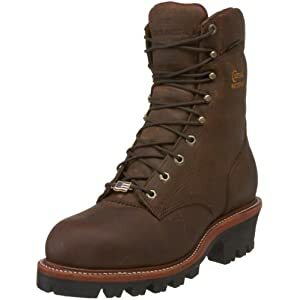 Logger boots and standard work boots are constructed differently.It uses Goodyear leather Welt construction that guarantees many years of use.The logger boots also have extra traction which makes it slip and oil-resistant. This boot is ideal for those who have Plantar Fasciitis as it offers great control and stability. Thanks to its unique lacing system and triple-ribbed shanks that provides support even when you are dealing with a harsh terrain. If you are spending long hours wearing this boots, need not worry as this is very comfortable to use. With its tall heel, you can stand up straight, especially when you are walking in an unknown terrain. It also helps reduce back pain due to long hours of standing. For some, a pair of Chippewa logger boots is very expensive however, they still agree that this brand of boots is made from high-quality materials and really lasts longer. Beware as there are fake Chippewa logger boots in the market being sold at a cheaper price. These boots easily worn-out and not worth your hard-earned money. This logger boot has Ruby Dri-lex 2000 liner that fights internal moisture. It keeps away sweat, foul odor, and moisture build-up. 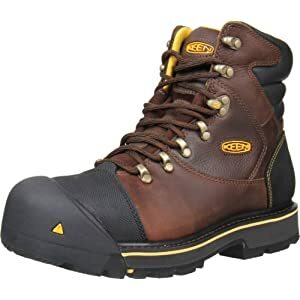 Looks can be deceiving so if you are thinking that this steel toe work boot from Keen Utility is stiff and heavy, you are wrong. The boots look sturdy and heavy-duty but users are impressed on how comfortable it is to wear. Uses KEEN.DRY ™ waterproof breathable membrane technology so your feet will stay dry and comfortable. If you have plantar fasciitis, working on your feet for hours is no joke but these steel toe boots feature EVA cushioning that you can actually feel the dual density of its foot bed. It fits perfectly with your every bend and curves. It also uses the Welt leather construction that adds toughness and flexibility. Its rubber sole serves as your electrical hazard protection so you can use it under various working environments. Its lacing eyelets and locking hooks were designed to add strength and comfort. So far, this model from KEEN does not have a puncture resistant sole which is also important for most workers. The insulation system of the boots can also make you feel warm in hot temperatures or indoors. Some users also commented that the boots seem to grab hold of mud and other residues due to the under sole design. In conclusion, these three steel toe-boots deserved to be in our shortlist of the best steel toe boots for plantar fasciitis. 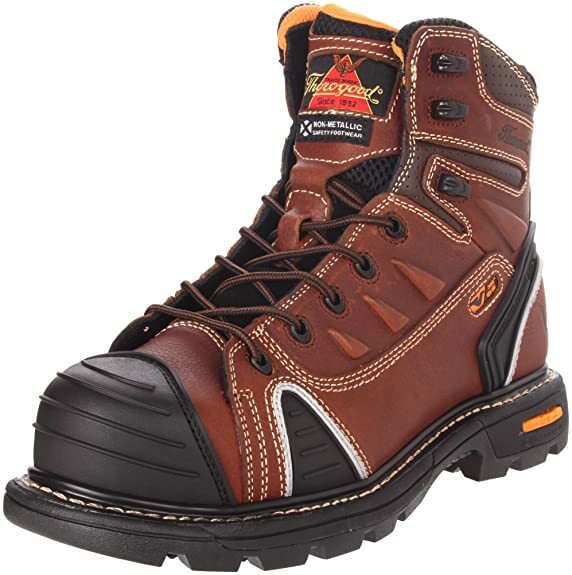 However, Caterpillar Men's Diagnostic Waterproof Steel-Toe Work Boot made it to our number one spot. This steel-toe boot can be used in all types of working environment. 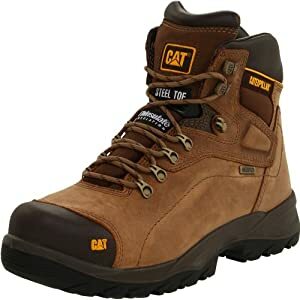 If you are looking for the boots that offer protection, comfort, style and insulation without breaking the bank, this waterproof boots from CAT is highly recommended. Plus, its Flexion generator and manifold systems are ideal for those who suffer from Plantar Fasciitis. These features promote healthy feet and prevent you from acquiring other foot-related injuries. Are you searching for the best insole for work boots? Overwhelmed with the many options that are available on the market? Confused with the claims made by each company? Consider yourself lucky that you are reading this article! We are here to extend a helping hand, to make your life a lot easier, and to allow you to make a decision that you won’t regret. More often than not, it is not enough that you have the best steel toe boots, best footwear for running, or best shoes for standing all day. One thing is also important – the right insole. Keep on reading the rest of this guide and I will help you come up with the right choice. 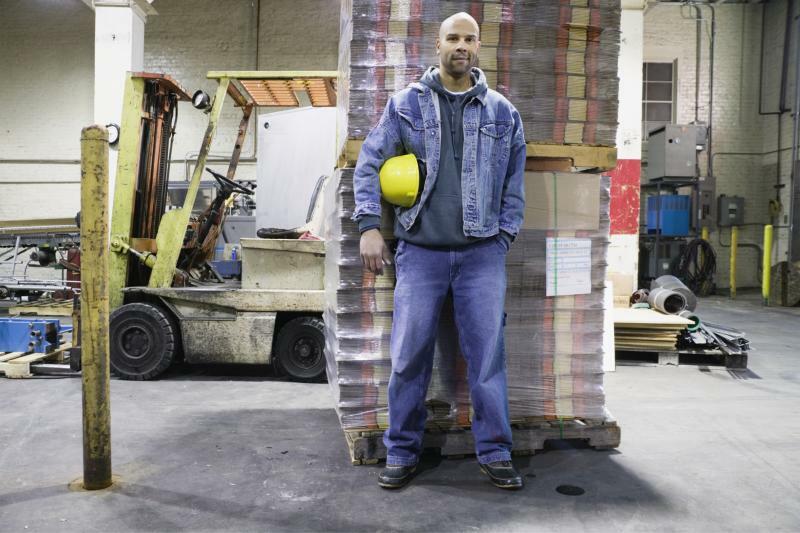 Why You Need Insoles for your Work Boots ? It Improves you Comfort: There are many ways by which a high-quality insole can provide you with better comfort in your footwear. For instance, it can keep your feet warm. It can also provide you with additional support and cushion, which is especially important if you are standing up for the whole day to work. It Prevents Various Problems: Arthritis, low back pain, bunion, heel spurs, heel pain, and calluses, and knee pain are just some of the problems that can be resolved provided that you use the right insole for your boots. It Solves Various Medical Conditions: If you are flat-footed, you need additional support for your arch, making insoles necessary. The same thing is true if you have over-pronation and shin splints, among other foot problems. What are the Types of Insoles for work boots? If you stand for an extended period or if you walk for a long time on hard surfaces, you will most probably complain of discomfort. 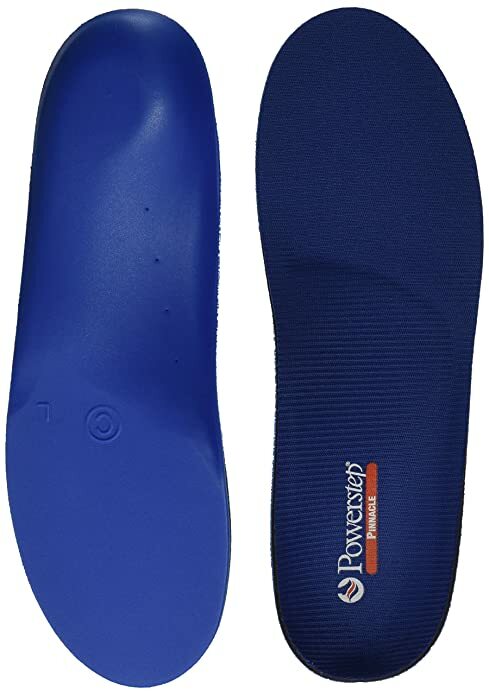 Your tired and weary feet will surely thank you with this kind of insole, which is usually made from foam or gel. What To Consider in Buying Best Insoles for Work Boots? There are generally three materials that are available. The first one is f﻿﻿oam. While it is soft and can provide exceptional cushioning, one of the most common problems is that they tend to wear out easily, especially with heavy use. Plastic is another common choice. They provide excellent support and can last long, but they are not as comfortable as other options. Lastly, you can also consider silicone. It is soft, comfortable, and long-lasting, although the support that it provides can be lesser than its counterparts. You should also think about the right size of the insole for your specific needs. Some are full-sized, which means that they are stretched out to cover the entire area of the shoe. There are some that are only ¾, which covers the arch. There are even shorter sizes, specifically one that will cover only your heel. The volume of the insoles that is right for you will depend on the situations wherein the shoes will be used. A high-volume insole, on the other hand, is needed for work boots that will be used for more physically-demanding situations. On the other hand, if it is going to be for casual use, such as shoes that you will wear for light work, you can opt for a low-volume insole. This can be an expensive option, yet it can be a promising choice.It means that it will be personalized based on your size and specific requirements.This will provide you with an insole that is optimized to provide the highest level of comfort. You also have to consider the level of support that is being provided by the insole as you try to differentiate one from the other. If you are looking for extra cushioning, the insert is usually flat. On the other hand, if the insoles made to correct foot problems, a higher level of support can be warranted. Lastly, it should also be noted that not all types of insoles are perfect for all types of footwear. 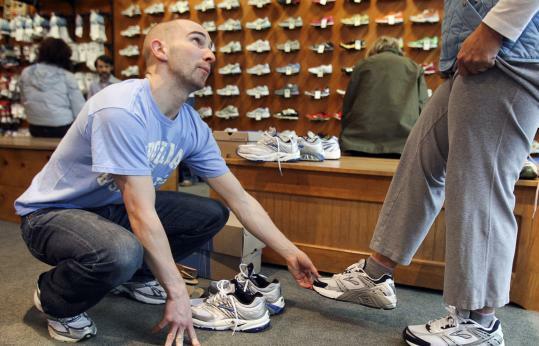 You should consider what you will be wearing to determine what insole is the best. Still having a hard time making a decision? Worry no more! Here, I will provide you with recommendations on some of the options that I believe can be impressive in more ways than one. Made by one of the most trusted names in the market for footwear, this is one of the options that I personally found to be impressive. Among others, one feature that is worth noting is the Anti-Fatigue technology, giving it a distinction from its competitors. It comes with an inverted cone design to optimize the support that it can provide. If you are looking for insoles that can provide the highest level of comfort, this is one option that you might want to consider. 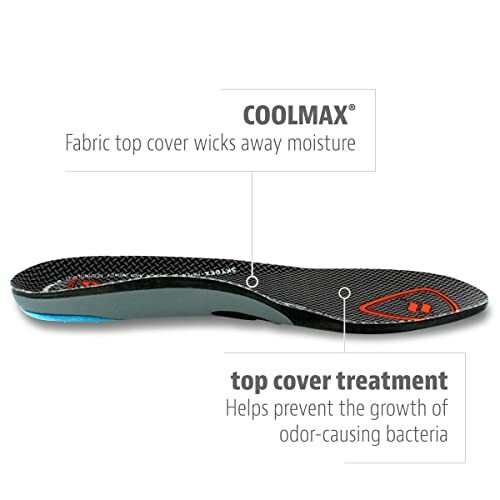 The insole has an Ortholite top layer, providing it with excellent cushioning, and more importantly, moisture management. The outlast top cover is one more feature that might make you consider this model above other alternatives. Basically speaking, the latter prevents the presence of microbes, which will make it free from odor. It also helps to regulate temperature, which, I believe, is vital for your comfort. This is another insole that I can highly recommend for your work boots. One of the reasons why I believe that is a good choice is the fact that it has Microban, a feature that will prevent the growth of bacteria that can produce odor. This means that you can expect that it will smell fresh all the time! Are you looking for a shoe insert that can help to withstand shock? This is one that you might love. This is because of the gel cushioning, allowing the heel to lessen the vibration that is felt, and hence, emphasizing your comfort. The nylon plate is one feature that could possibly make you love its design even more. This is designed to provide the support that your foot needs, especially if you are suffering from plantar fasciitis. Feature-wise, I think this is one model that you might love, the same way that I found it to be impressive. It features a stabilizer cap on the bottom, which is basically the one that is responsible for providing structural stability. It also comes with a deep-heel cup and biomechanical shape, which I believe is optimized to deliver the highest level of comfort. It can be helpful in the significant reduction of stress that you can feel on the different parts of the foot. If you are looking for insoles that are made from excellent materials, you might like to consider this product. It has high-density foam layer, which will provide the cushioning that is needed by your foot, guaranteeing a high level of comfort. 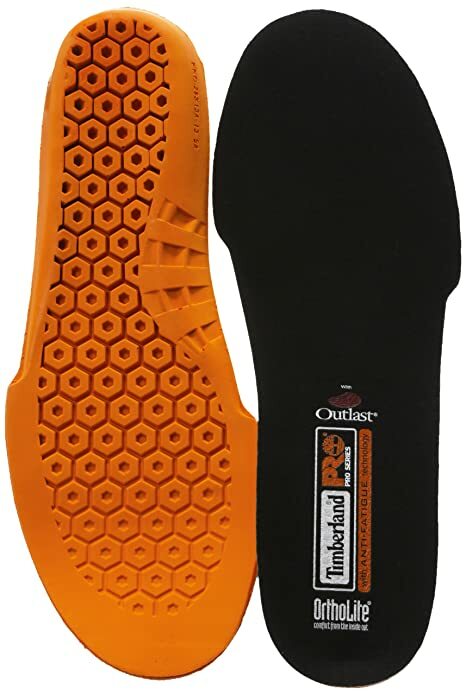 This is another option that I highly recommend if you are looking for insoles that will be perfect for your work boots. One feature that I find impressive with this model is the fact that it provides full contact support, which means that it can also prevent rolling of the heel and can provide better stability. The cushioning that is integrated in this insole is also impressive, providing you with another good reason to have it chosen. It has dual layer of cushion, which will be supportive and comfortable, especially if you have to be standing for an extended period in your job. It is also worth noting that it comes with anti-microbial top fabric. This is beneficial not only in terms of hygiene, but it is also a good thing that it absorbs heat and it reduces friction, promoting your highest level of comfort. One reason why I highly recommend this insole for your work boots is the fact that it comes with Variable Cushioning Technology. This is one innovative feature that has been integrated by the manufacturer to make sure that the top layer will be supportive. 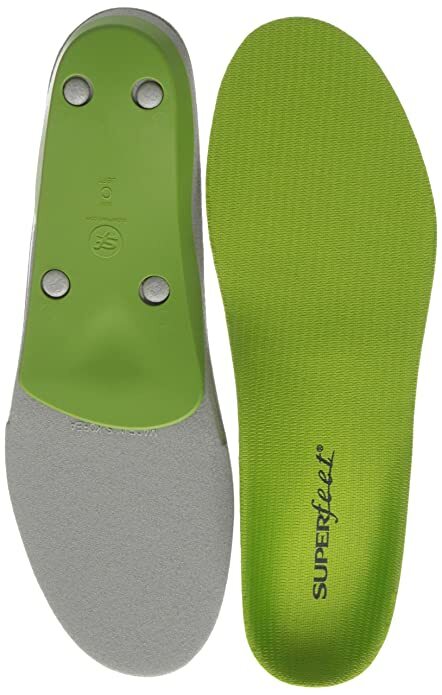 The heel cradle that is found in this insole is one more feature that you might love. It provides the heel platform with the stability that it needs, whether you are moving or standing. You might be happy with this if you have plantar fasciitis or other foot conditions. The antimicrobial top layer is one more feature that is worth noting. It wicks away moisture and it can also help to keep your feet dry. It minimizes heat and friction as well. In sum, if I have to recommend one option as the best insole for work boots, I have to say that it is Superfeet Premium Shoe Insoles. Yes, it may be expensive, but it should not matter. You must be ready to spend more for a product that can deliver exceptional quality and superior functionality. From comfort to durability, support to stability, you will find Superfeet Premium Shoe Insoles to be an impressive choice, the same way that I ended up being in awe with this product. For sure, your work boots will be more comfortable with the use of this product. Is there anything you would like to share? Want to ask a question? Or perhaps, is there any insole that you want to recommend? Did you enjoy reading this guide? Let us know and feel free to leave a comment. Where To Buy The Best Women’s Steel Toe Boots? So, you are about to start a position where you need ﻿﻿steel toe﻿﻿ boots, but you think to yourself: where to buy women’s steel toe boots? Men’s are easy to locate, just walk into a store and look for their brands and hand over their credit card and they are done. With women, it is not as easy. We want women’s steel toe boots, not men’s boots disguised as women’s. We want cute colors and fun patterns to separate us from the boys. The question is, though, where do we find such boots? Well, I have compiled a small list of the top three places to search for women’s steel toe boots. You can get more information on steel toe shoes and from where you can get them, Here! Some choices are obvious, but others may not be. Good luck with your search! Yes, you cannot find anything without looking on Amazon.com first. Every country has their Amazon site, so it is the first place you should always look. The price is usually lower, and there are honest reviews on the products. They will tell you if they run true to size and if the color pictured is accurate. Amazon offers numerous women’s steel toe boots. They have different styles and sizes so every woman can have their style and not have to compromise. You can purchase shoes that look like sneakers you would go for a run in, or you can buy shoes that look like nurses clogs or even shoes that look as though you are the captain of a yacht. 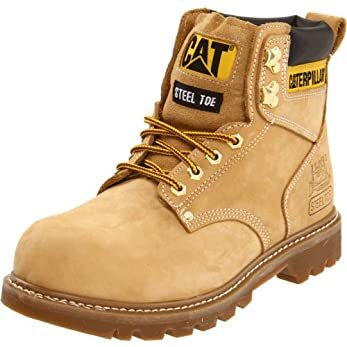 The idea is that just because they are steel toe does not mean that they have to be your boyfriends CATS or his Timberland boots. You can keep your style and have fun with color all while being safe and protecting your foot. My favorite pair at the moment is Rockport Work Women’s Sailing Club RK670. They look perfectly nautical and also have a protective steel toe. They even offer a rubber sole, Electrostatic dissipative and are CSA Impact certified. By looking at the shoe you would never think they are that solid, but they indeed are. I will not need to comprise fashion for safety with these women’s steel toe shoes. EBay has changed considerably over the past decade or more. It is no longer just about auctioning your grandmother’s old junk. You can also purchase brand new items that are not meant to be bid on. You can just shop by category and type in ‘women’s steel toe shoes’ and the options are endless. On this site, you can pick and compare to Amazon.com or other online sites you may have found. You can read different reviews and see if they compare to the ones on Amazon. What eBay also has to offer is that they list how many of the shoes they have sold. 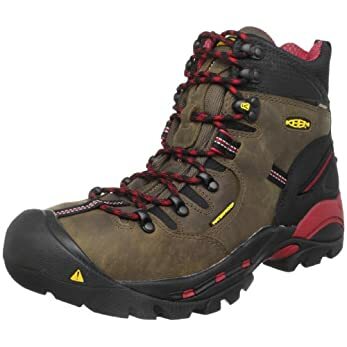 On the eBay site, I am on; they contain the shoe size from 3-9 of Ladies Safety Boot Steel toe caps ankle trainers hiking shoe are selling at 126+. Others may have only sold 13 or 25, but this particular shoe has sold over 125 and still going. That seems pretty trustworthy if you ask me. With eBay in some countries, you can click and collect, so you do not need to wait on shipping. You may also be able to return right away if the product is not what you thought it was supposed to be. How great is that? Online shopping has become so much more convenient over time. I sometimes believe you will have a better variety of particular shoes when purchasing on the manufacturers website. I love New Balance sneakers and the fact that they now offer steel toe shoes makes it even more versatile for people. They are comfortable sneakers that are perfect for training or just walking around town. They have fun and vibrant colors that are suitable for everyone. You can go to their website and search for their steel toe shoes. The shoes they list may be limited, but you know you are getting both comfort and quality. If you are a fan of other manufacturers work shoes, then you should go on their site. They often have a part where you can type in your postcode or zip code to see where they closest shop is that carries your shoe. They can even put them on hold for you, so you do not need to worry about them selling out of the shoe before you arriving. It is satisfaction guaranteed! As you can see, there are many varieties of women’s steel toe boots out there. It is just about where you look and what style you are looking for. I always advise to go in order from Amazon than to eBay and then finally the manufacturer’s website. You are sure to find what you are looking for if you put in a bit of effort! Is Timberland Classic 6 Premium Boots the Right Boots for You? Timberland has created many boots in its thirty years in the shoemaking industry. Its Timberland Classic 6 Premium Boots is a bestseller on marketing ,due to its form and function. 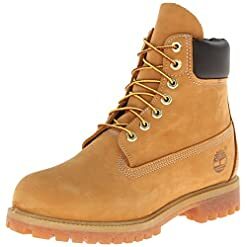 If you are planning to get a pair of the Timberland boots, you should know its features and understand the advantages and disadvantages of wearing the boots before making a purchase. Boots are essential footwear for many people and the style of boots vary depending on whether they are created for men or for women, or the pervading fashion standards. However, the basic purpose of boots remains the same—to provide protection and stability to your feet. The Timberland Classic 6 Premium Boots has a version for men and for women, and the boots which have long been praised for its function is now also sought after for its style. The Classic 6” Premium boots is a no-nonsense pair of boots which rudimentary purpose is to protect your feet against weather and injuries. The exclusive technology of the boots includes especially-crafted midsoles and geometric cone support. Waterproofing properties are infused with the leather of the Timberland Classic 6 Premium Boots during the tanning process. The pair of boots is also either seam-sealed or embellished with internal waterproofing to give additional protection to your feet. One fun fact about the pair of boots is that the facility where Timberland sources 50 % of its leather is rated Silver or higher by The Leather Working Group, which is an external environmental auditing body that tests and categories tannery based on waste production, energy use, and water treatment. The distinct insulation fabrics of the boots consist of synthetic fibers which include at least 50 % recycled plastic bottles. The Timberland Classic 6 Premium Boots also features leg outsoles made of rubber, collars that are padded and boot laces that are tough. The pair of boots has hardware with a rustproofing feature. As for the measurements, each shaft of the boots is approximately 6.25 inches from the arch, each heel is approximately 1.25 inches, and each platform is approximately 0.75 inches. The anti-fatigue technology of the Timberland Classic 6 Premium Boots allows you to spend many hours on your feet comfortably. The anti-fatigue feature also absorbs shock when you walk on hard surfaces. The leather parts of the boots keep your feet dry from weather or moisture, while the internal waterproofing feature of the boots, such as its breathable membrane, helps prevent sweating. The boots’ leather can be made from a silver-rated tannery, and it allows you to be free from guilt because you are helping the prevention of water pollution and other environmental problems. The PrimaLoft® Eco Insulation fabric stitched into the boots keeps your feet warm, even when the boots is wet. Add to that the inclusion of the recycled plastic bottles into the construction of the insulation fabrics, and you become a contributor to the protection of the environment while keeping your feet warm at the same time. The rubber outsoles of the boots provide great traction, while the padded collars add to the comfort of wearing the boots. Besides having a good grasp on the desirable features of the Timberland Classic 6 Premium Boots, you need to weigh the advantages and disadvantages of having the boots. The width of a Timberland Premium boot could be too wide for your feet that walking becomes awkward. Wearing boots mainly because of its style is an ongoing trend, and you can find different types of lightweight boots that are available in different colors and which design vary slightly from the classic boot design. With many lightweight and stylish boots out there, you may prefer them over the Timberland 6” work boots. Who the Boots is Best for? The Timberland Classic 6 Premium Boots is originally designed as work boots. The features of the boots are said to be useful to you if you work outdoors or in a hazard-prone workplace. As the pair of boots features insulation and waterproofing properties and anti-fatigue technology, it is considered your ideal footwear if you stand for the prolonged period of time or your job requires a lot of walking. Wear the boots as you would wear any work boots. Do not forget to wear socks with the boots to provide extra cushion to your feet. The boots can easily get dirty and stained because of itscolor, so cleaning it regularly is recommended. The pair of Timberland Classic 6 Premium boots is sought after by many for its form and function. As work boots, it combats fatigue and keeps your feet warm and dry. Its classic look makes it a best ﻿﻿steel toe boots. While the pair of boots certainly has a number of advantages, it has also received negative reviews from buyers. Both the pros and cons of the Timberland boots allow you to weigh your options to make an informed buying decision.